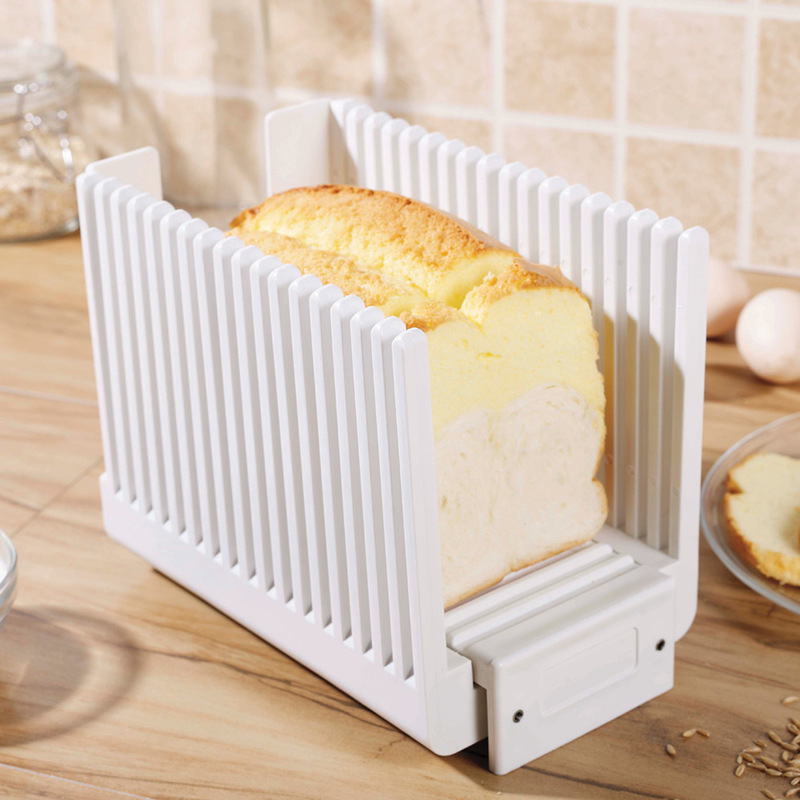 Slice your loaves of bread evenly, easily and safely with the Avanti Bread Slicing Guide. With knife guides for perfect sandwich or tasting thickness, this guide let’s you divide a loaf up to seventeen even slices. Ideal for homemade bread as well as your favourite store-bought bread, the guide is made from durable food-safe materials. With its precision guide slots allow the bread it be held firmly so it does not slip and directs your knife to cut evenly at the desired thickness. This means less time spent trying to cut your bread and more time savouring the deliciousness of your cook. Thanks, Avanti. Crafted from durable food-safe materials. Slice up to 17 even bread slices. Can slice both thick or thin. Suitable for standard loaf sizes. Great for homemade bread or store bought bread. You should allow your bread to cool a little before and have airing time before attempting to slice it.